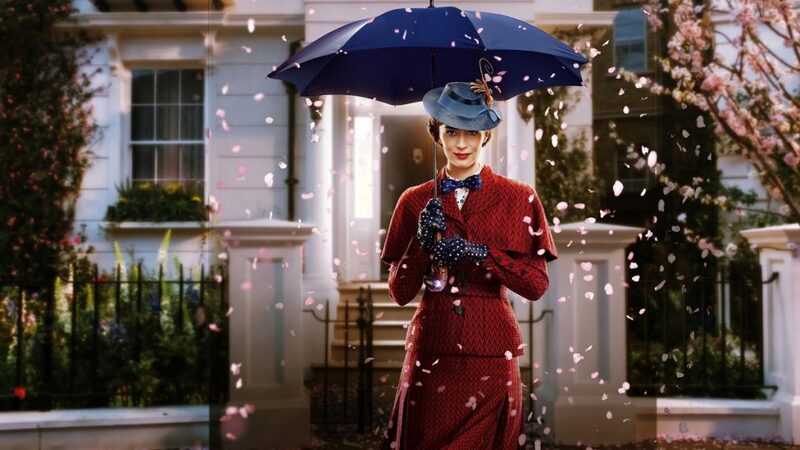 Mary Poppins Returns is noteworthy for a few reasons. For starters, the 54 year wait between the release of the original movie and the new installment represents the longest wait in sequel history. In a Hollywood that is perpetually obsessed with sequels and remakes, this information feels very important. For those who are not already sold on the concept, its adherence to the old ways of doing things is one of the best things that it has going for it. Rob Marshall has become the go to director for all big screen musicals and he relies heavily on the original when it comes to his song styling and set design. The costumes and tone are also closely aligned with the original. Those who are expecting some sort of gritty re-imagining of the original where Mary Poppins teaches the children about the deadly arts may be letdown. Meanwhile, viewers who are expecting the film to stick to the script will be pleased by the air of familiarity that Marshall creates. Children are going to love it but the little ones who are not as easily taken by nostalgia may not be as impressed. The movie is meant to function more as a time capsule and is not necessarily designed for the attention spans of today. The narrative, to the extent that one exists, is merely just a framework on which the songs can be hung. These songs do not quite capture the spirit and essence of the original but not for lack of trying. The film is set in 1935, 25 years after the events of the first one. The Banks children (played by Ben Whishaw and Emily Mortimer) are all grown up now. The family home is in danger of being lost for good and so Mary (as played by Emily Blunt) returns from the skies to lend a helping hand. Michael (Whishaw) and his three children are grateful for her presence. Since Mary cannot hang out with Bert this time around, she befriends Jack (Lin-Manuel Miranda). Michael’s home is in danger of foreclosure and the bank is threatening to repossess the property, despite his protests. As you might have imagined, there is a deadline for the family to vacate that allows for a maximum level of plot coherence. Of course, Emily Blunt is not going to be able to capture the full Julia Andrews essence. She tries her best to add as much Andrews to her performance as possible, while still adding her own spin to the character. While there is a major cameo that we will not spoil, Julia herself is not the one who makes an appearance. While the film is not going to make anyone forget the original, the director and the actors nail the tone and style that is needed to make a sequel of this nature work. The younger viewers’ mileage may vary but those who are looking to recapture their lost youth will certainly find much to like. You could do a lot worse as far as family holiday films are concerned. If you’re looking to scratch your Mary Poppins itch, this film is designed to serve as fan service, as opposed to a fresh take on a familiar tale.